The Launch Pad at AGHA Gift Fairs is a fantastic initiative designed to support new entrepreneurs. Starting a new business is exciting and terrifying at the same time. While it’s great to follow your passion and do what you love, it’s important to get your product out there and be noticed! By offering dedicated exhibition space at a subsidised price, this fantastic opportunity gives emerging businesses the chance to meet new customers, network with leading brands and ask industry experts the right questions, all in one place! We had a chat to 3 first-time exhibitors about their new business and why they decided to be part of The Launch Pad. What inspired you to launch Hippo Studio Australia? I started my own business in June this year when I found it difficult to rejoin the workforce after being a stay at home mum of two children for the past six years. 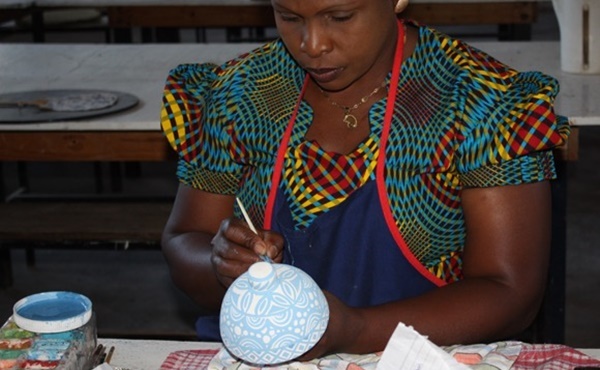 I inadvertently discovered the Hippo Studio ceramics made in Zimbabwe when I was online one morning, and immediately fell in love with the whimsical hand painted dinnerware and decor, inspired by the animals, birds and tribal spirit of Africa. I approached Hippo Studio to be its Australian distributor, and here we are today! Why did you decide to exhibit at The Launch Pad? When I saw the AGHA Sydney Gift Fair being promoted on social media, I knew I had to be there. The Gift Fair is the perfect platform to launch Hippo Studio products into Australia and February was the perfect timing. Initially I was hesitant to enquire about being an exhibitor because I was concerned that I would not be able to afford the cost. I decided to get in contact regardless, and was delighted to learn that there was a Launch Pad package on offer to startup businesses, which had something unique to offer. The cost of investment was significantly reduced, and included AGHA Membership and public liability insurance, all big benefits. As a first-time exhibitor, what do you expect from the Gift Fair? Being part of The Launch Pad for me is the opportunity of a lifetime. Our products will be showcased in front of thousands of discerning retailers over a number of days, and will give us the high profile boost that will be key to our success. It’s a wonderful chance to network with retailers to ascertain what they are looking for and to connect with other companies being represented at the show, to learn from their experiences. What can retailers expect to see from Hippo Studio? 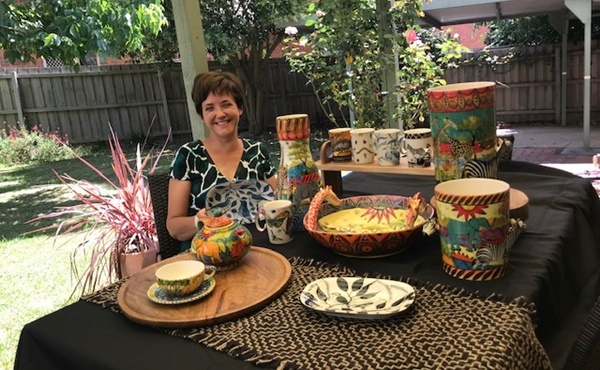 Retailers will see something completely unique with our vibrant, whimsical portrayal of African animals, tribal fusion monochromatic designs, floral designs, birds and beetles on ceramic dinnerware and home decor. Each item is an original piece of artwork―no two pieces are alike, and retailers can choose from an extensive range of designs within our Chekari, Belinda Mary or Enkosi Collections. Products are food safe, non-toxic, microwave and dishwasher friendly. What inspired you to launch FR33 Earth? FR33 Earth was officially launched last year in November. We were inspired initially by our natural rubber thongs harvested by Thai rubber farmers, the colours of summer and the “give back” ethos. We wanted to build not just a business but business that gives back and doesn’t stop giving back. That’s why five per cent of all sales goes to villages to start farms to help end poverty. We discovered The Launch Pad in February last year when we spoke with some other exhibitors. The raving reviews we heard made us really want to be part of The Launch Pad. We want to meet retailers who want to stock products that make a difference. If you’re a physical store, online or manage a marketplace we’d love to meet you and show you our story and cool product range. What can retailers expect to see from FR33 EARTH? We’ve spent time to create more cool products. 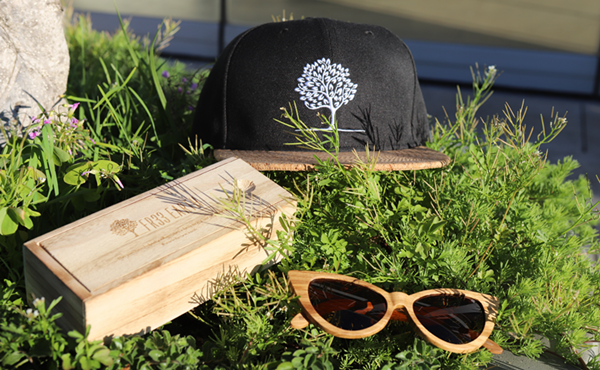 You’ll find items like German Kraft Paper Wallets (vegan friendly of course), Chronograph Wood Watches, Organic Cotton T-Shirts that are Fair Wear just to name a few. There’s something for every store so come and say hi at Stand 4T1 just around the corner from the entrance. What inspired you to launch BoldB? Our company was launched in late 2016. We are a two person team, with quite different inspirations. 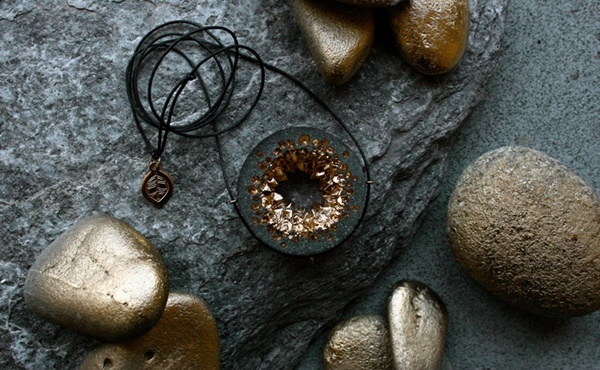 Britta is inspired by the shapes and textures of the natural world. Her passion is to experiment with combining different and unusual materials, to create new and unique jewellery concepts. The business is her creative outlet. I was inspired by my father and father-in-law, both successful small business owners. I saw firsthand the satisfaction and independence they both gained in creating sustainable businesses and love the challenge of building a business from scratch. We learnt of The Launch Pad from one of the stores we supply to, Only Just in Eltham. We were discussing the challenges of growing a small brand and they mentioned that the AGHA had a dedicated program for showcasing startup businesses such as ours. After launching our business and spending our first two years primarily focussed on improving our products and processes, we reached a point where as a business where we needed to ‘get the brand out there’ and prioritise marketing and promotion of our brand/products to continue to develop and grow our company. We donate a proportion of sales from each of our products to a good cause such as safe water projects (water.org) or girl’s education (Room to Read), and many of the stores we currently work with are focused in the gift and homewares industry, so the AGHA felt like the logical choice. We decided to exhibit as it offers us a more structured and supportive way to market our products to new potential customers. We hope to gain exposure for our unique range of products and build personal relationships with retailers looking to offer their customers something different. We hope to learn about their businesses, so that we can design products which best cater to them and their customers. We also look forward to gaining experience in exhibiting, as we hope to regularly exhibit at both the Melbourne and Sydney events in future. What can retailers expect to see from BoldB? 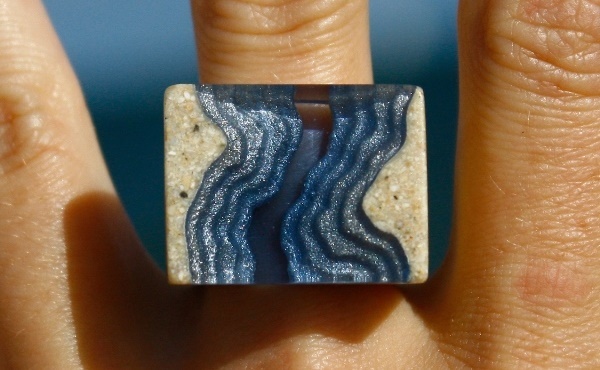 Unique jewellery which is unlike anything else on the market. Think dark textured concrete and brilliant golden gemstone shapes, and beach sand and resin resembling coastal landscapes. Registration for AGHA Sydney Gift Fair (23-26 February 2019) is open and entry is free for industry professionals. Click here for more information and to find out how you can attend this trade event.